Hello!  I’m Sandra, the face behind the lens and owner of ShutterBEAN Photography. Based in Calgary, Alberta, ShutterBEAN Photography is a natural light lifestyle photographer specializing in newborn, child, and family photography. I'm a mumma to two children, a wife, and a daughter. I have a passion for the outdoors, especially our family adventures to the mountains and I'm fond of creating long-lasting memories and embracing heritage. My work is inspired by my family and my clients, with my mission to provide you with a stress-free, relaxed and FUN photo experience. Giving back to the community and childrens' causes is an area I take great pride in investing my time. Also, I am a proud member of the NAPCP - National Association of Professional Child Photographers. offer kindness. choose generosity. give love.